Reduced! 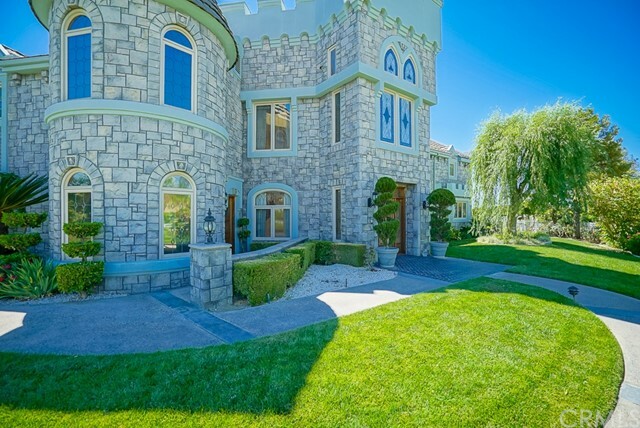 "YOUR HOME IS YOUR CASTLE" and in this case it is a real Castle. One of a kind custom with 2.75 acres and includes a running stream in the rear of the property. Newly remolded kitchen has new granite countertops and flooring, all new upgraded Appliances, large walk in pantry, center cooking island and eating island adjoining the family room. When you enter this beautiful home you are greeted with a nearly 30 ft high ceiling with a enormous skylight to view the stars at night. The sweeping staircase includes a chair lift. Triple pane custom windows and custom drapes. The master is huge and has its own separate exercise/sitting room attached with a coffee bar and sink. The large patio off the master has a view of the city. The master bath is newly remodeled with carrara marble, new jetted tub, new shower and flooring. You can enjoy the his and her&apos;s oversized walk in closets. There is a downstairs bedroom. The office is fit for a king, full of built ins and has a separate entrance. The family room has a sit down bar and a monster size grey ledge stone fireplace.The square footage includes a 960 sq.ft. guest home that is prefect for the in-laws or a small family. It has its own entrance, 1 large bedroom, kitchen, family room, full bathroom and private patio. Central Vac and so much more.. MOTIVATED SELLER!!!! !